We were asked by a Rotterdam vegetable oil refinery to replace a fan of a Polacel cooling tower. 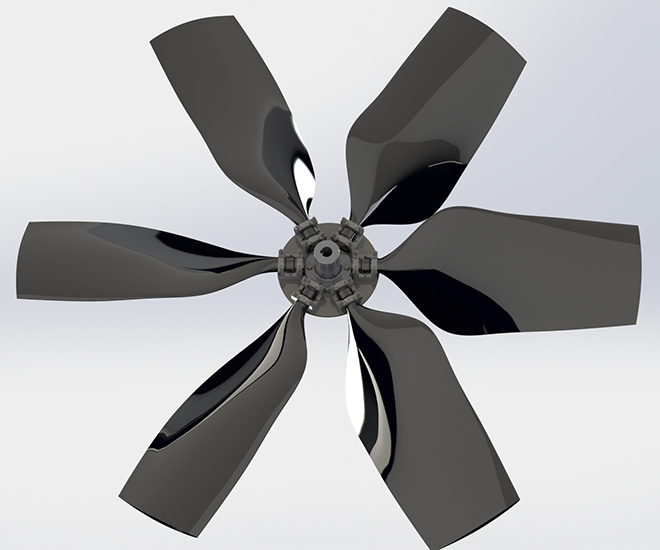 The existing fan was a 14-foot fan with aluminium blades. It must be more efficient than the existing fan. It must be quieter than the existing fan. Account must be taken of the fans of the other existing cooling towers to keep as few as possible replacement parts in stock. The cooling tower with the new fan is now operational again.